UPDATE: I was asked about the background in this photo of my design. I completely forgot to give credit for using it. And it was a FREEBIE...so I know the people asking about it will be thrilled. It was from a free collection from Far Far Hill. They are very giving and issue freebies like mad!! Love them!! While you're there check out their Neare Store as well. Some beautiful digis at low cost. 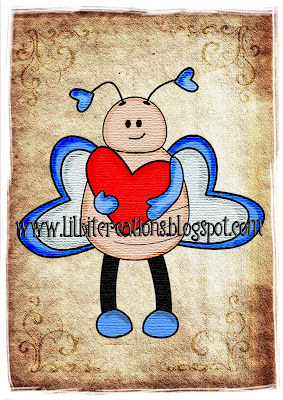 Since I had created a "Love Bug" for my daughter I decided to create one for my son's Valentine's Day card as well. I plan to do his card in more "boy-ish" colors so I had to change the bug up a bit. Hope you like. 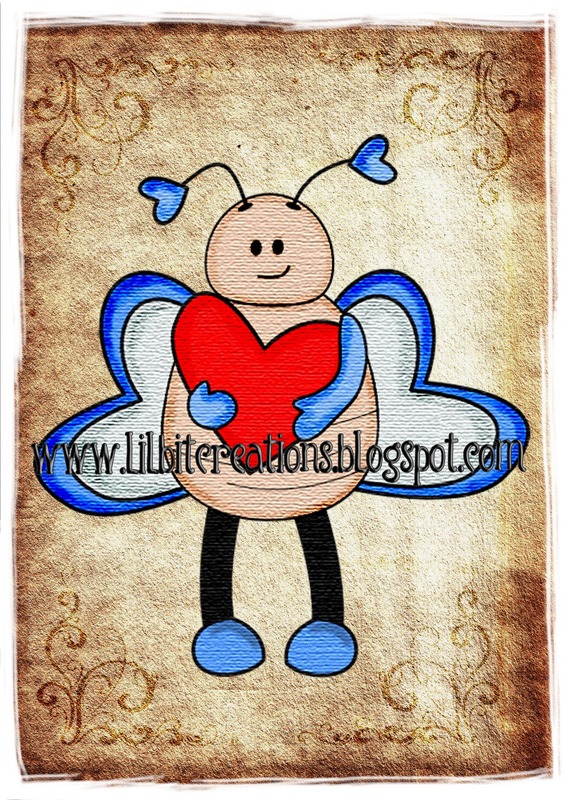 I have created a digi-stamp along with svg and mtc files for this one. I have not cut this one yet so please let me know how it goes! When cutting, I would suggest removing then drawing the antena lines as well as the face and lines on the body with a fine point marker rather than try to cut them. I don't think they will cut well but wanted to leave them in the file as a guide. How cute is this!? Your son will love it! You stopped by One By One The Flamingos Are Stealing My Sanity, and I promised a stop back with another way to win in my 500 Followers Celebration. Just go to my blog at http://karelj.blogspot.com and become a Networked Blog Follower. (If you are already one, leave me a comment saying so). That way, you'll be counted twice for an entry into my surprise give-away! Thanks for Following The Flamingos! Thanks! This is soooo cute! I love him! also the paper he is on is awesome.did you create it?